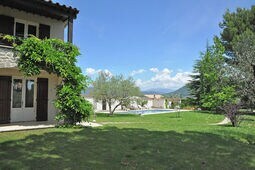 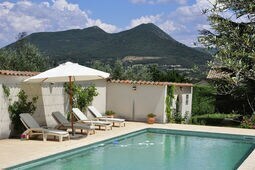 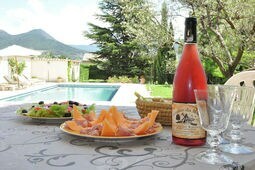 A panorama par excellence, there is truly a great view of Mont Ventoux from this villa. 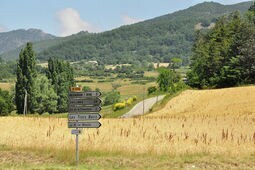 The surrounding area is gorgeous and ideal for bike lovers! 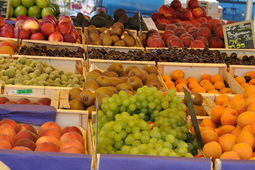 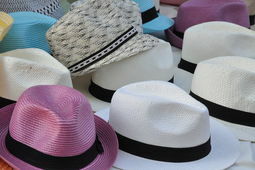 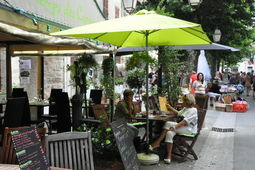 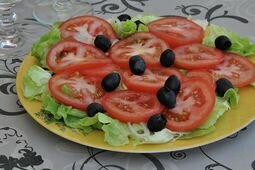 The area has a veritable abundance of old little villages with charming squares and delicious restaurants. 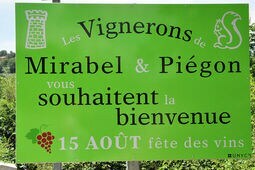 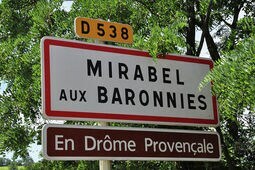 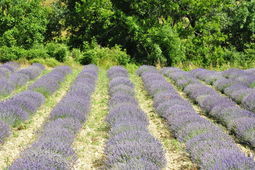 Every village is surrounded by vineyards and lavender fields, a pleasure for the eye. 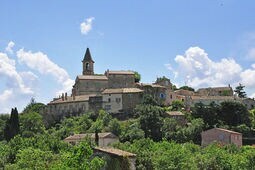 The town of Orange is close by: its amphitheatre has the best acoustics and there are festivals all year round. 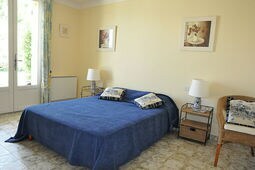 Our villa is situated on an enclosed parcel with a place to park your car. 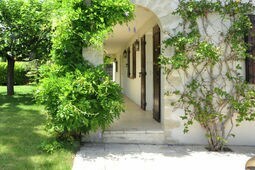 Only the ground floor is let, but nobody lives on the first floor so you will have 100% privacy. 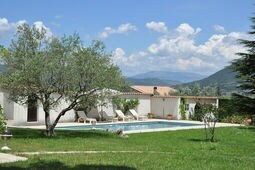 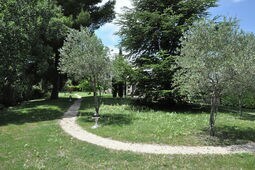 The garden is just delightful and when you walk alongside the villa you will find a strikingly beautiful view of the swimming pool with Mont Ventoux rising beyond. 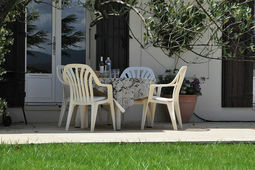 There are large lawn areas where the kids will love to play. 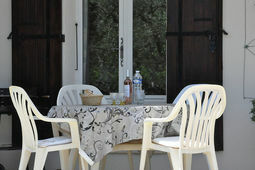 On the pool terrace you will find sun loungers and parasols waiting for you. 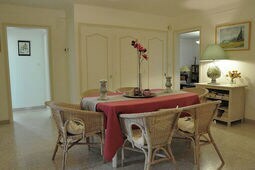 The villa terrace has a dining set and a barbecue grill. 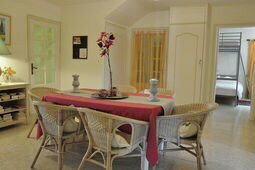 Inside you will find a central dining room adjacent to the living room with a sitting nook, the kitchen with an exterior door, and 3 bedrooms. 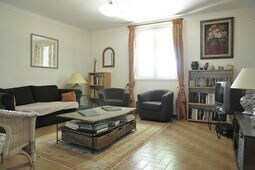 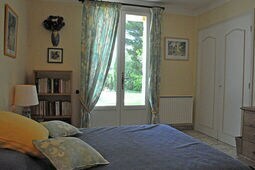 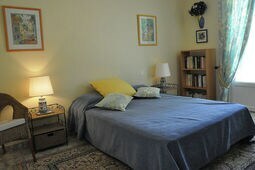 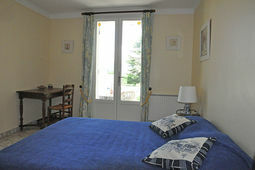 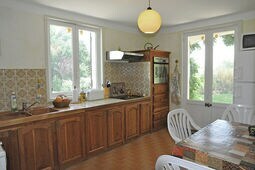 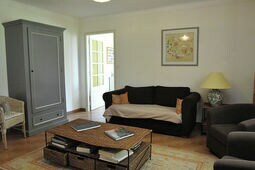 Two bedrooms have a double bed (180x200 cm) and French doors leading to the garden. 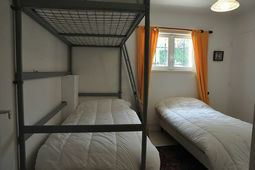 The third bedroom contains a bunk bed and a single bed (3 x 90 x 190 cm). 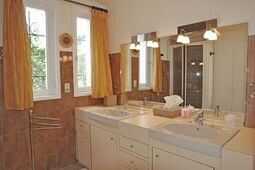 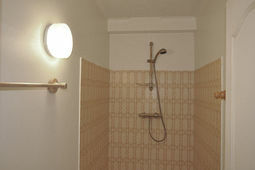 There is a spacious bathroom with a double sink and a shower and there is another shower in the adjacent room.